This is the first time that I make a Ferris Wheel. I had the idea of making a ferris wheel to place next to our merry-go-round and train in our village. 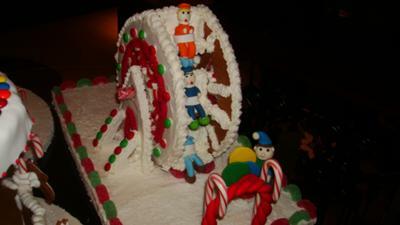 The wheels and sides are made of gingerbread, decorated with icing and candy, and the children in the ferris wheel are made of rolled fondant.